Email us at : snbaizurah.idris@gmail.com to purchase. Also, the first custom made order we receive will get free postage from us. Within Peninsular Malaysia only. *This promo is for a limited time only. 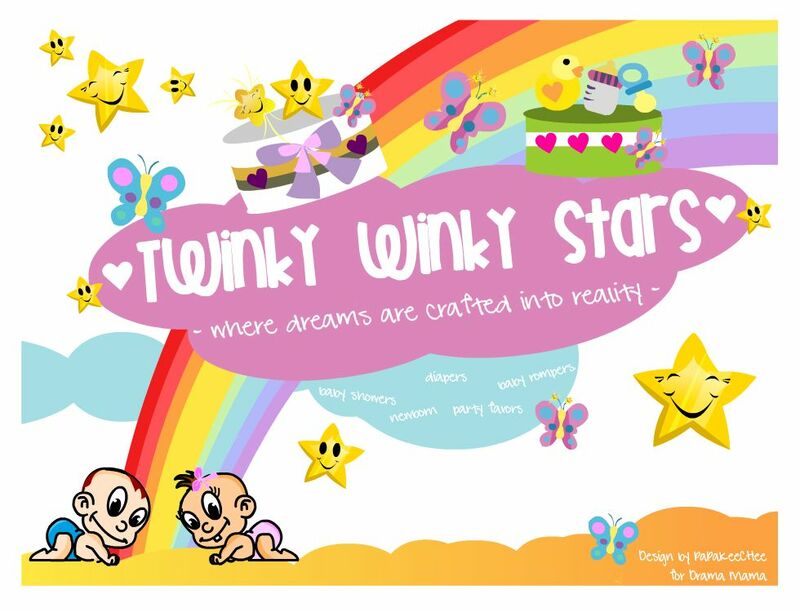 Twinky Winky Stars is a home-based biz stationed in Penang, MALAYSIA. We specialize in all sorts of inedible cakes for newborns and kids, namely the diaper cakes and birthday cakes. At TWS, every items are given our utmost attention and care so as to ensure good, quality service. The best thing of all, you can be rest assured that the price we offer are the lowest in town. Have fun browsing through our products! Click Here For Interesting Products and Offers! People, is it time to celebrate the birth of another earthling into this lovely world? What better way to celebrate the joy than a piece of cake ‘baked’ with lotsa and lotsa love and care for the newborns! Diaper cake is one of the coolest, creative and unique gift to surprise the new parents with. Be assured that the parents would be only too happy to receive these generous ‘helpings’ of diapers that comes with other special newborn items in cute packaging for their precious bundle of joy. Similar to diaper cakes. The only difference is that it comes without diapers! Suitable not only as gifts for newborns, but also toddlers, preschoolers and kids of all age. Ever heard of inedible yet fun birthday cakes before? Be different and surprise the kids you love with this cool invention of birthday gifts. Please browse through our selection of birthday cakes for a peek of TWS Birthday Cakes. * Please email us at snbaizurah.idris@gmail.com to discuss the particulars. * Once order is confirmed, we will send you the order form to be completed and you will have to make full payment before we proceed with your order. * For maximum satisfaction, orders should be placed at least 7 days prior to the date of delivery. Customers will need to make a third party transfer either to CIMB or Maybank account before your order can be processed. Account number will be emailed to you once order has been confirmed. *Once order for diaper cake has been confirmed, please allow 7 days for us to process your order and ship it accordingly. * A fee of RM10- 15 will be incorporated into your diaper/baby/birthday cake budget. * Shipping by mail will take approximately 1 week using the normal postage. However, if a customer require Pos Laju or Pos Ekspress, the fee will differ from the standard fee. If you want us to use other courier services, you will be charged according to the standard shipping fee imposed by the respective company. * We provide free delivery in Penang Island. 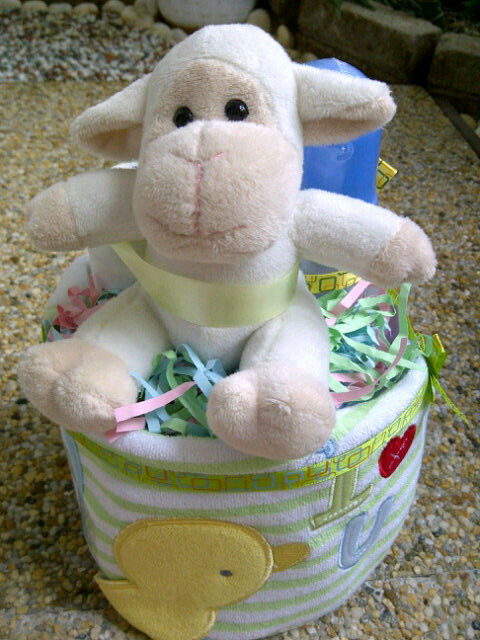 * The diaper cake will be delivered to your doorstep, or the recipient's doorstep! * We're sorry to inform all customers that once order has been processed, any cancellation won't be entertain. * If you do not receive any reply from us within 48 hours, please re-send your email. We might not receive your emails due to some technicality. * Due to the different settings of monitors, colors of the real item may vary slightly from the photos included on this page. * All information contained herein is subject to change without prior notice. * We will not be responsible and / or held liable to any items posted that are lost / damage in the mail. Free Advertorial for Your Blog? The designs, informations and write-ups in this blog belongs to the owner Twinky Winky Stars. Please do not use them for profits.